In 2015, the Alliance of Indigenous Peoples of the Archipelago (AMAN) set out to test an idea with Tenure Facility support. Capitalizing on a 2013 Constitutional Court Ruling that customary forests were not part of state forests and should be returned to customary communities, AMAN decided to use district-level legislation to secure indigenous land rights in five districts. Based on this success, Lebak invited members of parliament from other districts to visit and learn from their experience, and inspired a movement that has spread through word of mouth and peer-to-peer exchanges. AMAN was able to meet the rapidly growing demand for support with flexible funding from the Tenure Facility. By the close of the project in October 2017, AMAN had assisted 32 districts in drafting regulations. The results were remarkable. In just 29 months, AMAN advanced community tenure security over 1.5 million hectares of land. This breakthrough equips indigenous communities with tools and networks to combat the displacement, intimidation, criminalization, and violence they experience when their territories are appropriated for industrial or conservation uses. Indigenous Peoples’ rights are enshrined in Indonesia’s constitution, yet recognition of their customary rights has been slow. Thirty-one percent of Indonesia has been allocated to industrial concessions, often over indigenous territories, causing significant conflicts. In 2017, observers documented 659 new land conflicts. Conflicts are costly to communities as well as private companies and investors in Indonesia. Indonesia’s President Joko Widodo included commitments on indigenous rights in his Presidential Candidate pledge, and the government committed to transfer management of 12.7 million hectares of forestland to local and indigenous communities in its five-year plan. However, the pace has been slow, and the government scaled down its targets to 4.86 million hectares in 2019. By achieving district-level rights recognition, the Tenure Facility pilot project directly benefited Indigenous Peoples whose customary rights are protected while improving livelihoods, reducing conflicts, and strengthening natural resources management, thereby contributing to global goals on climate and development. It also accelerated the rate of land rights recognition and illustrated how rights recognition can be scaled up. Learn more about the struggle to protect the land and forest rights of Indigenous Peoples and local communities in Indonesia. The Tenure Facility is the first and only international, multi-stakeholder institution exclusively focused on securing land and forest rights for Indigenous Peoples and local communities. It provides grants to implement tenure rights under existing law and policy and shares the knowledge, innovations, and tools that emerge. Incubated by RRI since 2014 and formally launched in 2017, the Tenure Facility is dedicated to scaling up recognition of collective land and forest rights globally. The Alliance of Indigenous Peoples of the Archipelago, or AMAN, is an independent community organization with a vision to create a just and prosperous life for all Indigenous Peoples in Indonesia. AMAN works locally, nationally and internationally to represent and advocate for Indigenous Peoples issues. 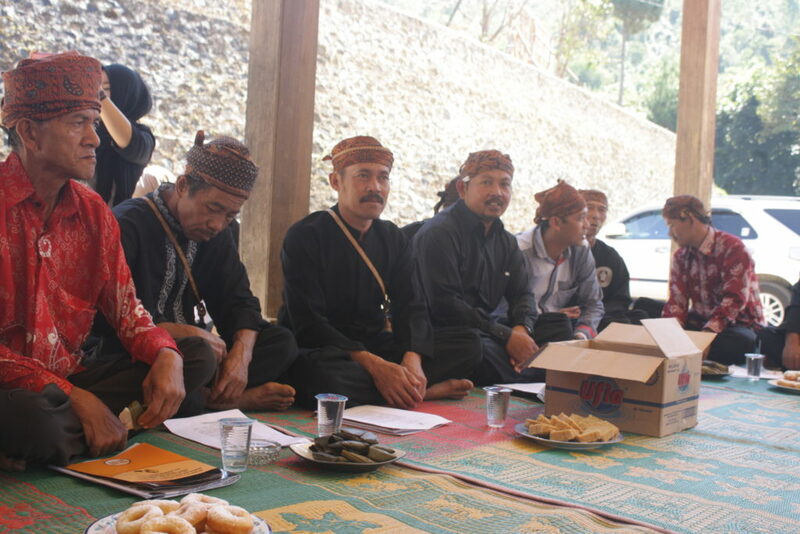 AMAN represents 2,332 indigenous communities throughout Indonesia, amounting to about 17 million individual members.